Reason for me to send publish an extra post, before I compose part two of the Great Debate post..
Gliese 581 is a so-called red dwarf star, located at a distance of 20 light-year from the Sun. In itself a smallish nondescript star in our Milky Way, but interesting because it has been found that a number of planets orbit this star. Four were known already, two more have been discovered now. For comparison the Sun and some of its planets are also shown. The blue band is the habitable zone, not too cold, not too hot, assuming water-based life. Excitement is about planet g, right in the middle of Gliese’s habitable zone. This is a first. It has a mass of about 3 earth masses, and orbits Gliese in 37 days. On 26 April 1920, a debate took place at the Smithsonian Museum of Natural History (Washington DC), between two American astronomers, Shapley and Curtis, about the scale of the Universe. Point of contention was the distance of the “nebulae” like Andromeda. Shapley argued that the Milky Way was the entirety of the Universe and the Andromeda nebula was inside the Milky Way. Curtis contended that Andromeda and other nebulae were separate island galaxies. The debate became known later as The Great Debate. We know now that Curtis was right. The Universe is huge and our Milky Way is only one of ~ 100 billion galaxies. Each galaxy contains on average 100 billion stars. 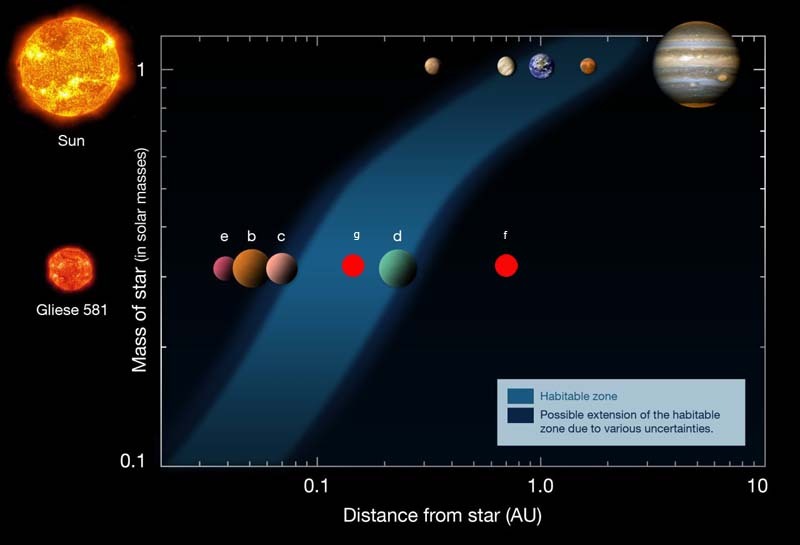 Eight planets orbit the Sun (sorry for Pluto, not a planet anymore…), and on (only?) 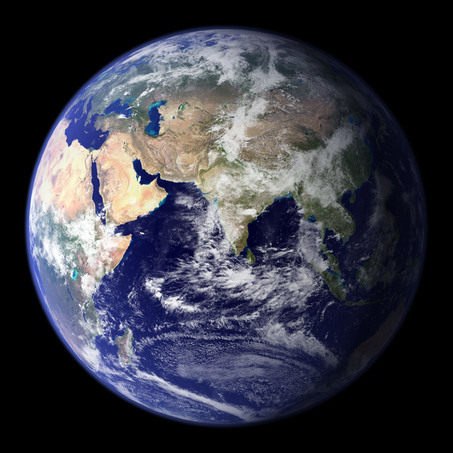 one of them, our beautiful Earth, life developed, about 4 billion years ago. Evolution took place. But it was only about 200.000(!) years ago that Homo Sapiens (yes, that’s us) evolved, most probably in Africa. Was that a unique incident? About half a year ago another astronomical debate took place, at Berkeley University, 30 April 2010, almost exactly 90 years later, and it was also called a Great Debate. This time the topic was: Are we alone in the Universe? Debaters were Dan Werthimer, the chief scientist of the SETI project, and Jeff Marcy, an astronomer who has discovered more extrasolar planets than anyone else. The SETI project is Searching for Extra Terrestrial Intelligence, so Werthimer is, not surprisingly, convinced that there are many planets with highly developed technological civilizations around us. SETI is searching for about 40 years now ‘only’, it will just take more time to find evidence for intelligent life elsewhere in the Universe, according to him. Marcy is a skeptic. Ok, many, if not most, stars will have planets orbiting around them. And he agrees with Werthimer that primitive life will be “teeming” in the Universe. But intelligent life? Is that an evolutionary advantage? The dinosaurs ruled the world for 200 million years and never developed intelligence with their peanut brains! Why not? Maybe speed or a thick skull will serve you better to survive. Maybe we humans are just a freak evolutionary incident? He has other interesting arguments. For example the water content of a planet. Quite critical. Assuming that water has been brought to the earth by asteroids, it should be about 0.03%. Not more, nor less. Less, and the planet will be a desert. More, and it will be just oceans. Is a technological civilisation possible under those adverse conditions? At the end of the debate, after a Q&A session, there is a poll for the audience. Are we alone or not?